Hard work has paid off for PRO’s Eric Weisbrod, but the assistant referee doesn’t plan on letting up any time soon. Weisbrod has been on the PRO roster of officials for two full years and notched nine MLS regular season assignments in 2014, before building on that with 13 in 2015. He was then awarded some notable postseason games, including the USL Final and the NASL Championship Final, rounding off an impressive year for the focused AR. “I had a very good year in 2015 – my scores were good and it paid off with the postseason assignments I received,” the Media, PA resident reflected. “I wasn’t expecting the two final assignments, particularly as I did an NASL semi-final. 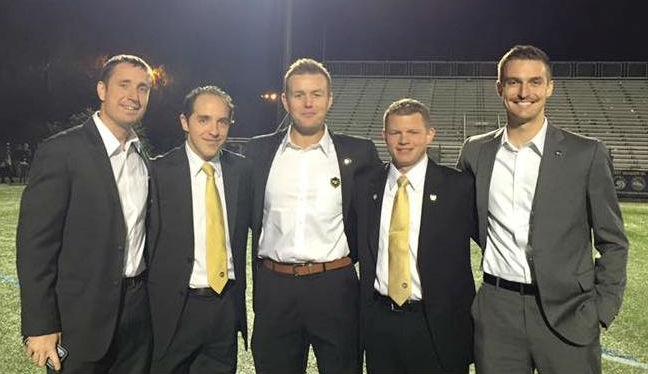 Just being the fifth official for the NASL final, and being there to support the crew, was a great experience. “In the regular season I also officiated at Yankee Stadium and in Seattle for the Cascadia Cup in front of 65,000 fans. If anyone ever asks me what’s the biggest game I’ve ever officiated, that’s the answer. Weisbrod’s journey to the top of North American soccer started when he was 13 years old, after his mother suggested refereeing as a job to earn some extra money. Then, at the age of 21 and after graduating from college, he started progressing up the ladder. Now, ahead of what will be his 19th season as an official, the AR is more excited than ever, with the 31-year-old setting his sights high. And, in 2016, he will be tutored by Greg Barkey, who is leading PRO’s new assistant referee program. “I will work as hard as I have to, to get to the highest level. I always remember saying when I was a state referee, ‘I want to get to the national referee’, then you hit that and you say, ‘I want MLS’. “The next step is now working to become a FIFA assistant referee. Of course, I also want to get an MLS playoff game. It might not be this year, but it’s definitely my next stepping stone. “All the officials that I work with are supportive, helping me along the way, and that goes for everyone – the assessors, the coach mentors, and even going back to the state. The state helped me along the way, and that is never forgotten.